20 mm Flora glass aspect polyester button. You will love this button with unique design in the shape of a white flower! It looks like a real works of art made out of colored glass! These buttons will go perfectly on girls' blouses but also on grown ups'! 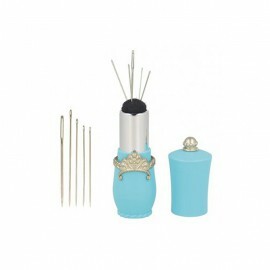 Have this fabulous turquoise lipstick pin and needle case in your purse, ready to mend cracking pants or jacket holes. You'll stay glamorous in all occasion with this unique object ! Comes with hand needles. Have this fabulous yellow lipstick pin and needle case in your purse, ready to mend cracking pants or jacket holes. You'll stay glamorous in all occasion with this unique object ! Comes with hand needles. 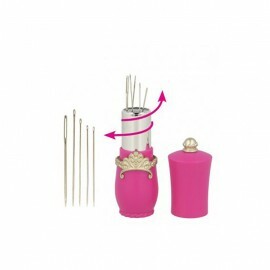 Have this fabulous lipstick pin and needle case in your purse, ready to mend cracking pants or jacket holes. You'll stay glamorous in all occasion with this unique object ! Comes with hand needles. 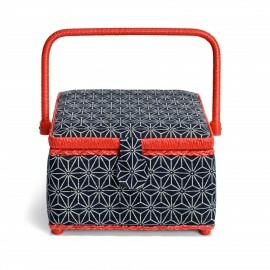 Discover this red and black sewing box with Japanese graphic pattern. Take care of all your haberdashery accessories with this pretty 100% cotton fabric box by Prym. Light and practical with its wide handle, it will be ideal to gather all your equipment! Gold metal eyelets in 11 mm and 14 mm. 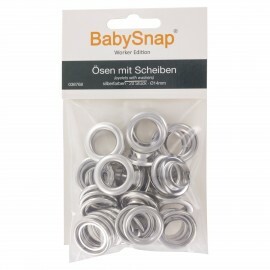 Thanks to the professional BabySnap pliers, easily place your metal eyelets and make your own bags and accessories. It is now so easy to have professional results with the BabySnap line! Metal eyelets in 11 mm and 14 mm. 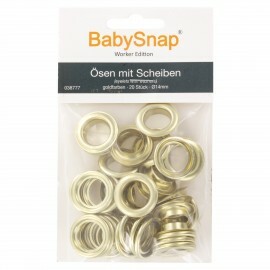 Thanks to the professional BabySnap pliers, easily place your metal eyelets and make your own bags and accessories. It is now so easy to have professional results with the BabySnap line! 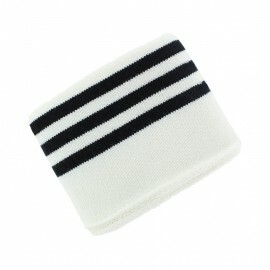 Off white and black striped edging fabric for pretty finishes (cuffs, collar, hems). Create jackets and other original clothing with the ribbed edging fabric by Poppy. They are specially designed to make coat wrists, jacket bottoms, collars, etc. You will be able to adjust your clothes and customize them as you please! Plus, this item is Oeko-Tex certified. 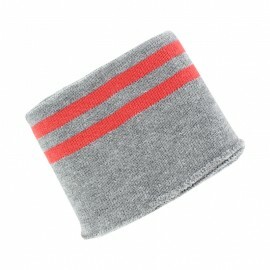 Grey and coral striped edging fabric for pretty finishes (cuffs, collar, hems). Create jackets and other original clothing with the ribbed edging fabric by Poppy. They are specially designed to make coat wrists, jacket bottoms, collars, etc. You will be able to adjust your clothes and customize them as you please! Plus, this item is Oeko-Tex certified. Grey and navy blue striped edging fabric for pretty finishes (cuffs, collar, hems). Create jackets and other original clothing with the ribbed edging fabric by Poppy. 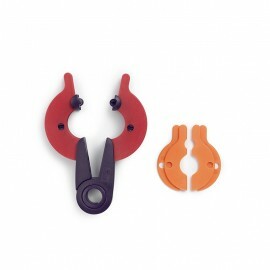 They are specially designed to make coat wrists, jacket bottoms, collars, etc. You will be able to adjust your clothes and customize them as you please! Plus, this item is Oeko-Tex certified. Grey and navy blue striped edging fabric for pretty finishes (cuffs, collars, hems). Create jackets and other original clothing with the ribbed edging fabric by Poppy. They are specially designed to make coat wrists, jacket bottoms, collars, etc. You will be able to adjust your clothes and customize them as you please! Plus, this item is Oeko-Tex certified. 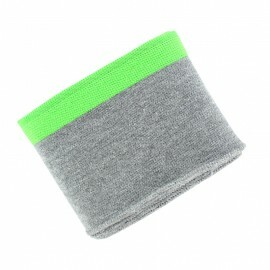 Neon green edging fabric for cuffs and hems, from the Sport collection. Create jackets and other original clothing with the ribbed edging fabric by Poppy. They are specially designed to make coat wrists, jacket bottoms, collars, etc. You will be able to adjust your clothes and customize them as you please! Plus, this item is Oeko-Tex certified. 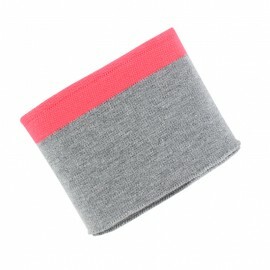 Neon pink edging fabric for cuffs and hems, from the Sport collection. Create jackets and other original clothing with the ribbed edging fabric by Poppy. 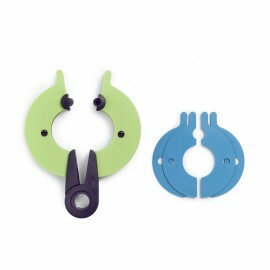 They are specially designed to make coat wrists, jacket bottoms, collars, etc. You will be able to adjust your clothes and customize them as you please! Plus, this item is Oeko-Tex certified. 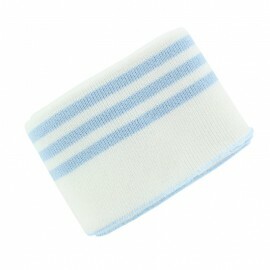 Sky Blue striped edging fabric for cuffs and hems, from the Bayadère collection. Create jackets and other original clothing with the ribbed edging fabric by Poppy. They are specially designed to make coat wrists, jacket bottoms, collars, etc. You will be able to adjust your clothes and customize them as you please! Plus, this item is Oeko-Tex certified. Mustard striped edging fabric for cuffs and hems, from the Bayadère collection. Create jackets and other original clothing with the ribbed edging fabric by Poppy. They are specially designed to make coat wrists, jacket bottoms, collars, etc. You will be able to adjust your clothes and customize them as you please! Plus, this item is Oeko-Tex certified. Coral striped edging fabric for cuffs and hems from the Bayadère collection. Create jackets and other original clothing with the ribbed edging fabric by Poppy. They are specially designed to make coat wrists, jacket bottoms, collars, etc. You will be able to adjust your clothes and customize them as you please! Plus, this item is Oeko-Tex certified. Blue striped edging fabric for cuffs and hems from the Bayadère collection. Create jackets and other original clothing with the ribbed edging fabric by Poppy. They are specially designed to make coat wrists, jacket bottoms, collars, etc. You will be able to adjust your clothes and customize them as you please! Plus, this item is Oeko-Tex certified. Plain purple edging fabric for cuffs and hems. Create jackets and other original clothing with the ribbed edging fabric by Poppy. 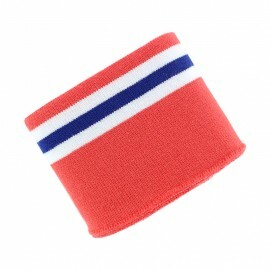 They are specially designed to make coat wrists, jacket bottoms, collars, etc. You will be able to adjust your clothes and customize them as you please! Plus, this item is Oeko-Tex certified. Plain pink edging fabric for cuffs and hems. Create jackets and other original clothing with the ribbed edging fabric by Poppy. They are specially designed to make coat wrists, jacket bottoms, collars, etc. You will be able to adjust your clothes and customize them as you please! Plus, this item is Oeko-Tex certified. Plain fuchsia edging fabric for cuffs and hems. Create jackets and other original clothing with the ribbed edging fabric by Poppy. They are specially designed to make coat wrists, jacket bottoms, collars, etc. You will be able to adjust your clothes and customize them as you please! Plus, this item is Oeko-Tex certified. 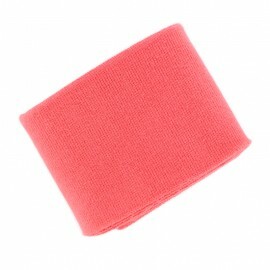 Plain coral edging fabric for cuffs and hems. Create jackets and other original clothing with the ribbed edging fabric by Poppy. They are specially designed to make coat wrists, jacket bottoms, collars, etc. You will be able to adjust your clothes and customize them as you please! Plus, this item is Oeko-Tex certified. 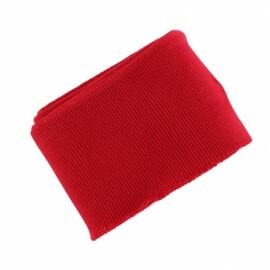 Plain red edging fabric for cuffs and hems. Create jackets and other original clothing with the ribbed edging fabric by Poppy. 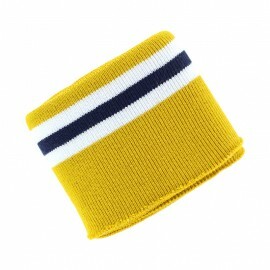 They are specially designed to make coat wrists, jacket bottoms, collars, etc. You will be able to adjust your clothes and customize them as you please! Plus, this item is Oeko-Tex certified. Plain orange edging fabric for cuffs and hems. Create jackets and other original clothing with the ribbed edging fabric by Poppy. They are specially designed to make coat wrists, jacket bottoms, collars, etc. You will be able to adjust your clothes and customize them as you please! Plus, this item is Oeko-Tex certified. 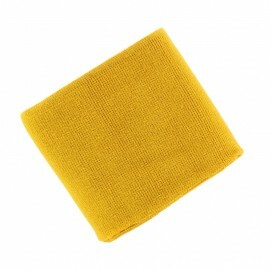 Plain mustard yellow edging fabric for cuffs and hems. Create jackets and other original clothing with the ribbed edging fabric by Poppy. They are specially designed to make coat wrists, jacket bottoms, collars, etc. You will be able to adjust your clothes and customize them as you please! Plus, this item is Oeko-Tex certified. Plain water green edging fabric for cuffs and hems. 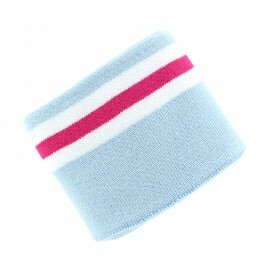 Create jackets and other original clothing with the ribbed edging fabric by Poppy. They are specially designed to make coat wrists, jacket bottoms, collars, etc. You will be able to adjust your clothes and customize them as you please! Plus, this item is Oeko-Tex certified. Plain anise green edging fabric for cuffs and hems. Create jackets and other original clothing with the ribbed edging fabric by Poppy. They are specially designed to make coat wrists, jacket bottoms, collars, etc. You will be able to adjust your clothes and customize them as you please! Plus, this item is Oeko-Tex certified. Plain green meadow edging fabric for cuffs and hems. Create jackets and other original clothing with the ribbed edging fabric by Poppy. They are specially designed to make coat wrists, jacket bottoms, collars, etc. You will be able to adjust your clothes and customize them as you please! Plus, this item is Oeko-Tex certified. 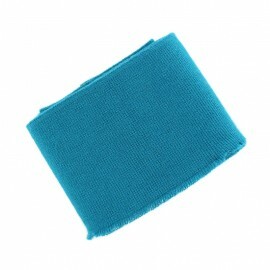 Plain peacock blue edging fabric for cuffs and hems. Create jackets and other original clothing with the ribbed edging fabric by Poppy. They are specially designed to make coat wrists, jacket bottoms, collars, etc. You will be able to adjust your clothes and customize them as you please! Plus, this item is Oeko-Tex certified. 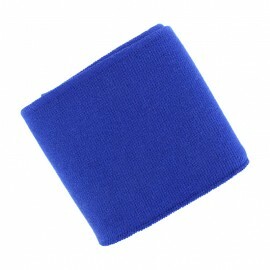 Plain royal blue edging fabric for cuffs and hems. Create jackets and other original clothing with the ribbed edging fabric by Poppy. They are specially designed to make coat wrists, jacket bottoms, collars, etc. You will be able to adjust your clothes and customize them as you please! Plus, this item is Oeko-Tex certified. Plain navy blue edging fabric for cuffs and hems. Create jackets and other original clothing with the ribbed edging fabric by Poppy. They are specially designed to make coat wrists, jacket bottoms, collars, etc. You will be able to adjust your clothes and customize them as you please! Plus, this item is Oeko-Tex certified. Plain heathered blue grey edging fabric for cuffs and hems. Create jackets and other original clothing with the ribbed edging fabric by Poppy. They are specially designed to make coat wrists, jacket bottoms, collars, etc. You will be able to adjust your clothes and customize them as you please! Plus, this item is Oeko-Tex certified. Plain taupe edging fabric for cuffs and hems. Create jackets and other original clothing with the ribbed edging fabric by Poppy. They are specially designed to make coat wrists, jacket bottoms, collars, etc. You will be able to adjust your clothes and customize them as you please! Plus, this item is Oeko-Tex certified. 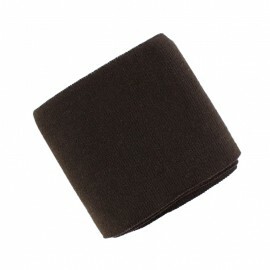 Plain brown edging fabric for cuffs and hems. Create jackets and other original clothing with the ribbed edging fabric by Poppy. 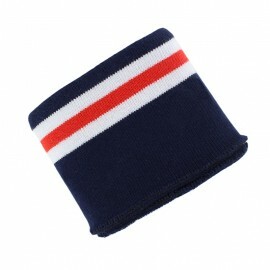 They are specially designed to make coat wrists, jacket bottoms, collars, etc. You will be able to adjust your clothes and customize them as you please! Plus, this item is Oeko-Tex certified. 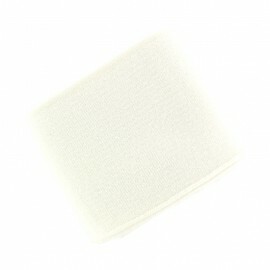 Plain white edging fabric for cuffs and hems. Create jackets and other original clothing with the ribbed edging fabric by Poppy. They are specially designed to make coat wrists, jacket bottoms, collars, etc. You will be able to adjust your clothes and customize them as you please! Plus, this item is Oeko-Tex certified. Plain off white edging fabric for cuffs and hems. Create jackets and other original clothing with the ribbed edging fabric by Poppy. They are specially designed to make coat wrists, jacket bottoms, collars, etc. You will be able to adjust your clothes and customize them as you please! Plus, this item is Oeko-Tex certified. Plain heathered off white edging fabric for cuffs and hems. Create jackets and other original clothing with the ribbed edging fabric by Poppy. They are specially designed to make coat wrists, jacket bottoms, collars, etc. You will be able to adjust your clothes and customize them as you please! Plus, this item is Oeko-Tex certified. Plain light grey edging fabric for cuffs and hems. Create jackets and other original clothing with the ribbed edging fabric by Poppy. They are specially designed to make coat wrists, jacket bottoms, collars, etc. You will be able to adjust your clothes and customize them as you please! Plus, this item is Oeko-Tex certified. Plain grey edging fabric for cuffs and hems. Create jackets and other original clothing with the ribbed edging fabric by Poppy. They are specially designed to make coat wrists, jacket bottoms, collars, etc. You will be able to adjust your clothes and customize them as you please! Plus, this item is Oeko-Tex certified. Plain dark grey edging fabric for cuffs and hems. Create jackets and other original clothing with the ribbed edging fabric by Poppy. They are specially designed to make coat wrists, jacket bottoms, collars, etc. You will be able to adjust your clothes and customize them as you please! Plus, this item is Oeko-Tex certified. Plain black edging fabric for cuffs and hems. Create jackets and other original clothing with the ribbed edging fabric by Poppy. They are specially designed to make coat wrists, jacket bottoms, collars, etc. You will be able to adjust your clothes and customize them as you please! Plus, this item is Oeko-Tex certified. Make pom poms in the blink of an eye with the Prym pom pom maker. Easy-to-use and efficient, your pom pom maker will make thick and dense pom poms to embellish your accessories and decoration ! Choose the size you need : 7 cm or 9 cm diameter. Check also the pom pom maker to make 3,5 or 5 cm pom poms. Make pom poms in the blink of an eye with the Prym pom pom maker. Easy-to-use and efficient, your pom pom maker will make thick and dense pom poms to embellish your accessories and decoration ! Choose the size you need : 3,5 cm or 5 cm diameter. Check also the pom pom maker to make 7 or 9 cm pom poms. 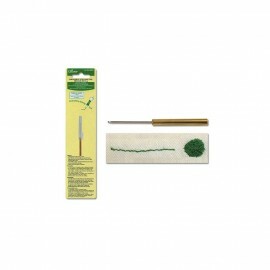 Needle to use with medium knitting yarn, embroidery ribbon (approx 4 mm wide) or any thread with the same thickness. 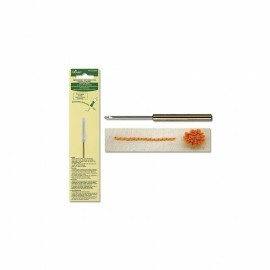 This needle refill goes with the Clover punch needle. Needle to use with single ply, n°25 embroidery thread or any thread with the same thickness. Needle refill that goes with the Clover punch needle. 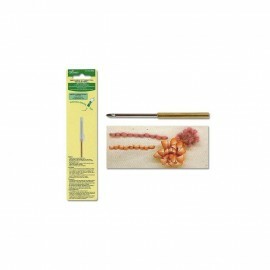 Needle to use with 6-plys, n°25 embroidery thread, lace weight yarn or any thread with the same thickness. Needle refill that goes with the Clover punch needle. A bit of history before we start! Back in time, the haberdasher was a merchant selling sewing supplies and men clothes. Today, the haberdashery is a term gathering all the goods for sewing. Haberdashery is the place where you can find all the goods special needed for sewing. Sewing enthusiast will fell in love with our haberdashery section full of various sewing accessories. Either you look for patches to repair your pair of jeans, or you wish to refill your sewing box with new tools, you have come to the right place, at Ma Petite Mercerie. In fact, you will find the best quality at a reasonable price for buttons, basic sewing needles, zips, sewing threads, embroidery hoops, and so forth. As it is all in the detail. Find the best accessories for the perfect finishing touch. Ma Petite Mercerie supplies you with a large selection of haberdashery supplies. Indeed, we stock over 5,000 sewing tools and accessories in our warehouse. Thanks to this vast range of sewing supplies and haberdashery accessories, you can repair a piece of cloth you love, or start from scratch your very own homemade wardrobe. Plus, we offer easy sewing patterns. Extra strong thread, tape measure, loop turner, sewing kit, sewing scissors, snap fasteners, eyelet tool, seam ripper, tailor’s chalk… You name it, we have it. Plus, if there is one product you can’t find on our website, please email us, and we will try our best to find what you are looking for. Christmas is right around the corner and you want to find the best gift for a sewing addict? Purchase our essentials for dressmaking: dressmakers carbon paper, wooden metre ruler, fixing weights, rotary cutter, and other sew essential. Find the best embroidery scissors with unicorn designs, quilting supplies, plastic bobbins, pinking seam, or fabric comb. Our online haberdashery shop is the place where you will find unique haberdashery tools. Choose our pom pom maker and make unique woollen pom pom to tie up to your bag. Plus, no need to ask Siri for “the best haberdashery near me” as you are in the best online haberdashery. Indeed, apart from fabrics, bias binding, ribbons and buttons, Ma Petite Mercerie supplies you with zips to replace broken ones, extenders and pins. Find as well zip puller, and chunky open end zips. 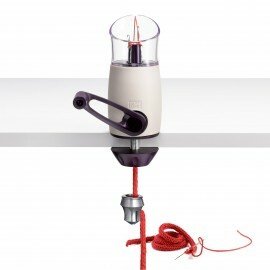 Plus, meet all your favourite brands including Prym, Clover, Ykk, Fiskars, and more. Find the latest haberdashery essentials ! 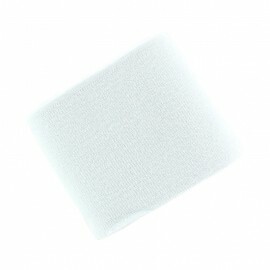 Finally, purchase our fabric treatment products. Odicoat fabric coating gel is the best!